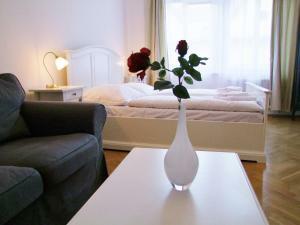 Located in the city centre, Old Prague House offers free WiFi and a terrace. There are a mini-market and a Czech restaurant in the same building. The property offers breakfast, daily maid service and tour desk. An airport shuttle, car hire and bicycle rental can be provided for a surcharge. A shared kitchen equipped with a microwave, a refrigerator, a coffee machine and an electrical kettle is at guests' disposal. 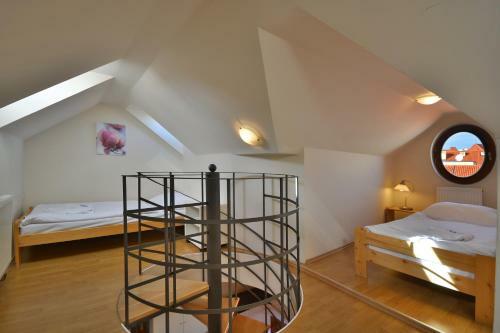 U Zlateho Stromu price per day from €43 The U Zlatého Stromu hotel is located in the historical centre of Prague in the Old Town, on the ancient King's Row, just few steps away from the Charles Bridge and within a walking distance of all major sights. 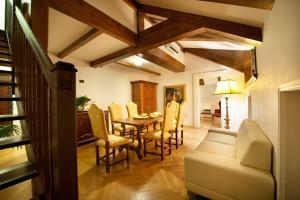 The rooms are fitted with original furnishings and many feature a painted Renaissance ceiling. The on-site restaurant serves Czech and international cuisine. The roofed atrium with a large sea aquarium offers a pleasant seating. 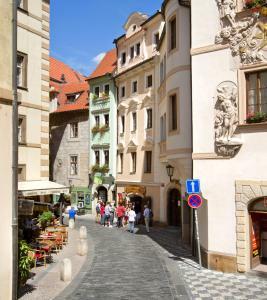 Aurus price per day from €100 Aurus enjoys an elevated location in the Old Town District of Prague, a 5-minute walk from the Old Town Square and the Charles Bridge. 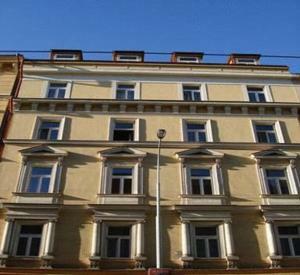 It is located in the "U Zlate studny" building, dating back to the 16th century. The air-conditioned rooms offer views of the historical King's Road and come with elegant classical furnishings and free Wi-Fi. The cosy rooms with rustic wooden ceilings further include a seating area with cable TV and a private bathroom with free toiletries. 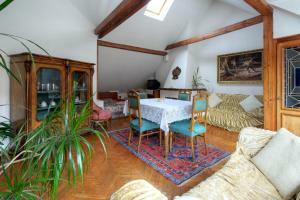 Karlova Prague Apartments price per day from €39 Karlova Prague Apartments is located in a 13-century historical building on the Royal Way in Prague’s Old Town 200 metres from Charles Bridge and the Old Town Square. Many restaurants, bars and shops are within a 5-minute walk of the property. The Karlova offers apartments with a bedroom, a living room, a kitchen or kitchenette, a dining room and a private bathroom. Wi-Fi is available free of charge. 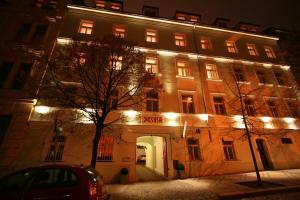 Restaurant V Zatisi, Prague Guest reviews: 9,2/10 ~ 0,1 km from Old Prague House Address: Liliova 1, 11000, Prague. Restaurant Lehka Hlava/Clear Head, Prague Guest reviews: 9/10 ~ 0,1 km from Old Prague House Address: Borsov 2/280, 11000, Prague. Cuisine: Vegetarian. Restaurant Hemingway Bar, Prague Guest reviews: 9,4/10 ~ 0,1 km from Old Prague House Address: Karoliny SvEtle 26, 110 00, Prague. Cuisine: Bar. 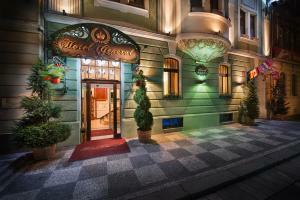 Restaurant Tempo Allegro, Prague Guest reviews: 9,4/10 ~ 0,1 km from Old Prague House Address: Karoliny Svetle 283/24, 110 00, Prague. Cuisine: Italian. Restaurant Tricafe, Prague Guest reviews: 9,2/10 ~ 0,1 km from Old Prague House Address: Anenska 188/3, 110 00, Prague. Cuisine: Café.